Survey: Millennials capitalize on new 'work perk' to save on vacation costs - 'Bleisure' travel - AutoInc. Blending business & leisure travel also equals greater work/life balance, according to new data from National Car Rental. ST. LOUIS, Feb. 5, 2019 /PRNewswire/ — As millennials make up a growing share of the workforce, they’ve begun to capitalize on a new, unofficial work perk. “Bleisure” travel – the trend of blending business with leisure activities on business trips – is on the rise, providing a greater quality of life and work/life balance to those who take advantage of it. According to the second annual State of Business Travel Survey by National Car Rental, 90 percent of millennials have engaged in bleisure travel in the past year compared with 81 percent of Generation Xers and 80 percent of baby boomers. While all three generations benefit from bleisure travel, recent industry reports say millennials have led the way in normalizing the trend. A major reason may be that they’ve identified a budget friendly opportunity: Nearly half (49 percent) of millennials say they’ve extended business travel into a leisure trip or scheduled a vacation around business travel to save on vacation costs. Across all three generations, those who engage in bleisure travel are significantly more likely to be satisfied with their quality of life (93 percent vs. 75 percent) as well as their work/life balance (87 percent vs. 64 percent) while on the road than non-bleisure travelers. In addition, the survey shows that bleisure travelers are more likely to prioritize self-care on the road than non-bleisure travelers, which includes following a healthy diet (42 percent vs. 29 percent) and exercising (57 percent vs. 31 percent). Despite these benefits, however, millennials are leading another trend: bleisure travel stigma. 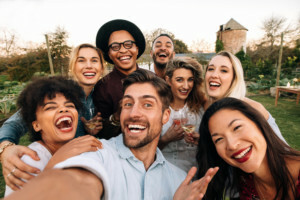 Nearly half (45 percent) of millennials feel they should avoid telling others about taking time for fun or personal activities while on a business trip compared with 40 percent of Gen Xers and 30 percent of baby boomers. However, this trend may change as today’s junior-level employees become tomorrow’s managers. According to the survey, 76 percent of bleisure-traveling bosses and supervisors report encouraging their teams to take time for themselves while on business trips, compared with only 51 percent of bosses and supervisors who don’t partake in bleisure travel. Regardless of what bleisure activities they pursue, business travelers look to technology to keep them more connected than ever. For example, 93 percent of frequent travelers prefer travel brands with technology that simplifies travel. And business travelers use an average of 3.1 travel apps when they travel for business. National Car Rental is a premium, internationally recognized brand serving the daily rental needs of the frequent airport traveler throughout the world. For in-depth results of the National Car Rental 2019 State of Business Travel Survey, visit www.nationalcar.com.